What is Whitsun? Why is it Important? Whitsun is a shortened version of Whit Sunday which may derive from White Sunday or from Whit as in wit, wisdom, or both. This name is used in countries with Anglican religious heritage or connections. Whitsun is the seventh Sunday after Easter. 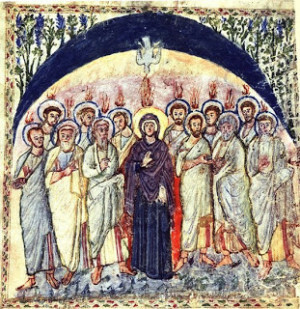 It is another name for Pentecost which is the fiftieth day after Passover (the Saturday before Easter, or at least it was supposed to be but differences between the Gregorian, the Julian, and the Hebrew calendars cause Western Easter, Eastern Easter, and Passover to often unalign.) Another way to describe this is that Ascension Thursday happens 40 days after Easter and Whitsun/Pentecost ten days later. While Christmas is a fixed holiday, Whitsun/Pentecost is “movable” as it falls on the first Sunday following the first full moon that follows the spring equinox. The early Christians tried to establish Easter as a cosmic event with Christmas as an earthly event. Pentecost is the Greek name for Shavuot, a prominent feast of ancient Israel that celebrated Moses receiving the Law on Sinai. Perhaps the name Whitsun, or Whitsunday, was an attempt to distance or distinguish this Christian festival from the Jewish one. Whitsun and Ascension go together. The time from Easter to Ascension is a time of intense teaching from Christ to the disciples. All present were initiated into the deep Mysteries of Golgotha. Then comes the proving of the training – ten days alone (or becoming all-one). Normally our mental image is tongues of fire on the 12 disciples but note this 6th century Rabbula Gospels from Syria (now in the Laurentian Library in Florence, Italy). It shows Mary, mother of Jesus of Nazareth, in the middle. Thus present, in one self, were more than just the 12. Some traditions claim as many as 120 were present as one. To understand Whitsun/Pentecost, we need to understand what is here called the Holy Spirit. There are two mentions in the bible of descents of the holy spirit. The first is [John 1:32-34] at the baptism of Jesus, “Then John gave this testimony: “I saw the Spirit descend down from heaven as a dove and remain on him. And I myself did not know him, but the one who sent me to baptize with water told me, ‘The man on whom you see the Spirit come down and remain is the one who will baptize with the Holy Spirit.’” The second ‘descent’ is Acts 2:1-4 as quoted above. I bolded the words “and remain” to emphasize that this spirit was not in Jesus of Nazareth until this moment of baptism. Theologians often miss this important point. ‘Spirit’ is mentioned in other passages, notably John 19:30, “When he had received the drink, Jesus said, “It is finished.” With that, he bowed his head and gave up his spirit [pneuma, πνεῦμα].” Pneuma is the same word for wind in Greek, not the moving air but what moves the air. Thayer’s Greek Lexicon states that pneuma also means “breath as in the nostrils or mouth, often in Greek writings from Aeschylus down.” Now read Genesis 2:7 (ASV) “And Jehovah God formed man of the dust of the ground, and breathed into his nostrils the breath of life; and man became a living soul.” And in John 1:4 “In Him is life [zoe, ζωὴ] and that life is the light of mankind.” “Him” is the Word, the Logos. When a human being speaks a word, they must use their breath. Breath is of the airy element in which light can freely exist. Note the strong association of the Word with life, zoe. Much more could be said on this tangent. How are these two descents of the Holy Spirit alike and how are they different? Let’s start with the day of the Ascension. Gazing upwards, the disciples of Christ Jesus see Christ vanishing in the clouds. The usual conception of this scene is that Christ went up into heaven and so departed from the earth leaving not only the disciples to their own resources but the rest of mankind as well. This feels like a spiritual reneging on the promise of Easter! 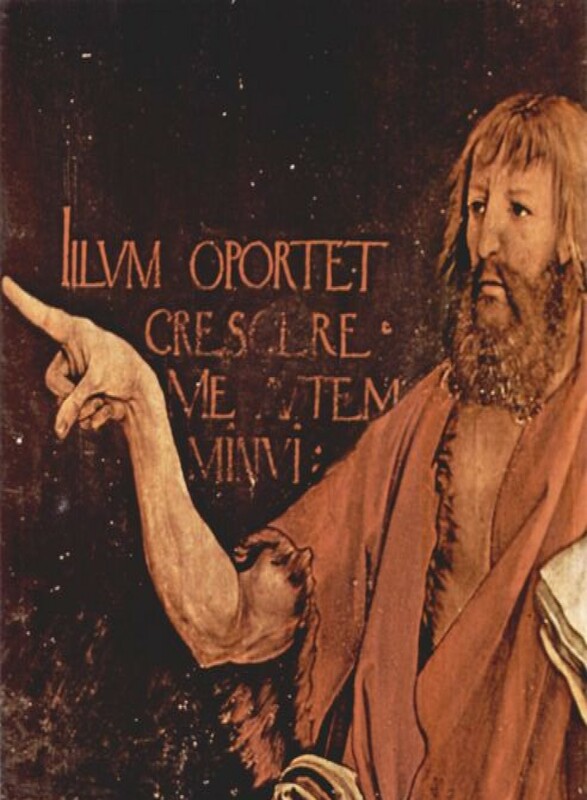 Did not Christ, through His deed on Golgotha, resolve to unite His own Being with the earth, that is to say, from the Mystery of Golgotha onwards to remain forever connected with earth-evolution? Next, ten days after this Ascension, tongues of fire descend upon the heads of all of those assembled as “one self” so that they are inspired “to speak with other tongues.” What this actually means is that from this moment forward those gathered were able to impart the secrets learned from their time with the resurrected Christ, of the Mystery of Golgotha, to the heart of every human being, irrespective of race, gender, religion, or ethnicity. This was a cosmic deed accomplished for the whole of humanity. Christ fulfilled his deed for all mankind on Golgotha. But now mankind must come to grasp this deed. The permeation of the human spirit-and-soul with the power to understand the Mystery of Golgotha is the sending of the Holy Spirit. This is the picture of the Whitsun festival, the festival of Pentecost. Christ sent the Spirit after ten days of working on their own so that the individual being of spirit-and-soul may have access to the effects of The Deed that was accomplished for all men in common. Through the Spirit man must learn to experience the Christ Mystery inwardly, in spirit and in soul. The Holy Spirit is available to each human individual in order that he or she may be able to understand this cosmic Deed. Looking a bit deeper (there are always more depths! ), we can come to see that the Ascension tells us: The Deed on Golgotha was fulfilled for the physical body and the etheric body in the universal human sense while Whitsun tells us: The single human being must make this Deed bear fruit in himself by receiving the Holy Spirit. Thereby the universal Christ Impulse becomes individual in each human being.